← Read Anything Good Lately? 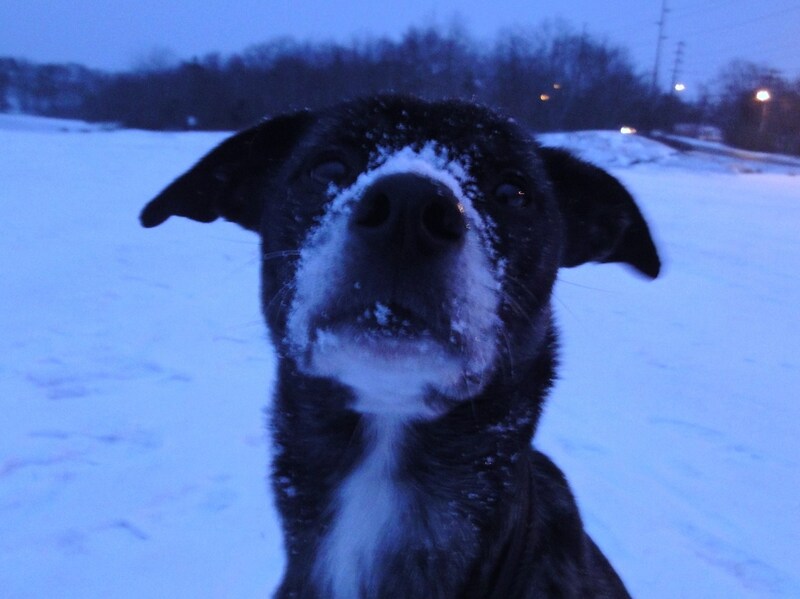 Snow on nose! Beautiful pictures. Cute! Everyone is getting snow but us… It will be 66 today, with a chance of rain. I guess it’s good it is rain as with all the rain we have had this winter if it was snow we would probably be dead. Looks like this year canada is getting more snow than us. Looks like somebody’s having a lot of fun! My goodness, that’s a great picture. 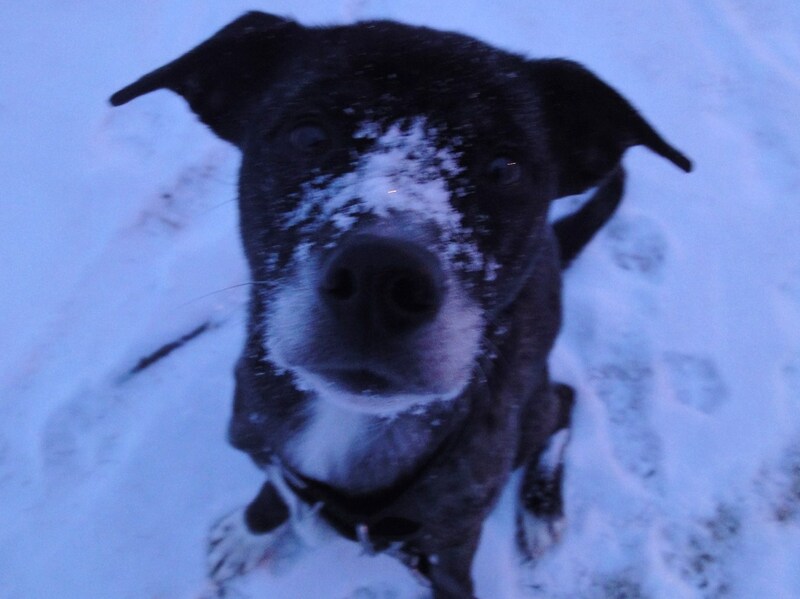 I love when my dog, Chai, gets the snow all jumbled up in her beard, it makes my whle day. It’s fun poking your nose into the snow isn’t it? Hope Shiva likes the snow. Having fun in the cold cold snow? Lookit that adorable snowy snout! It’s so funny to think of snow on your side of the country. Today in BC, we’re thinking that Spring may have Sprung. Great pictures! Looks like this Cute dog is having a good time with the snow. Thanks for the post. Ok, Shiva and OBF HAVE to have a play date. He does that “dig in the snow with the nose” thing too! Last winter season, I play also in snow with my dog… Love it! The dog is a CUTIE!! I really wish you have a a better cam..